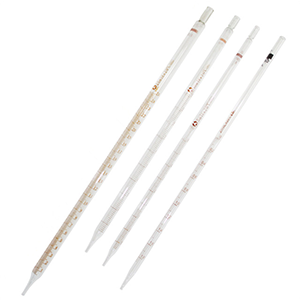 Pipetting involves drawing a liquid into a pipet and allowing liquid to drain from the pipet in a controlled manner. 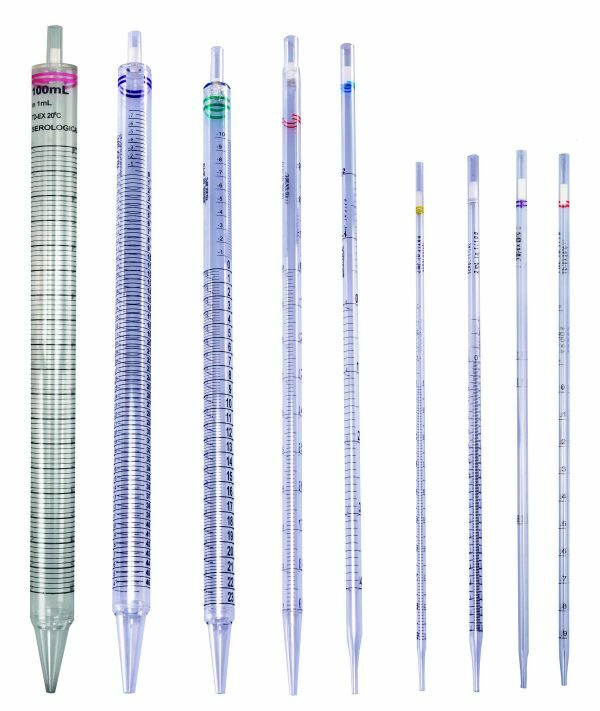 Pipetting is used to quantitatively transfer a liquid from one container to another.The volumetric pipet has a single graduation that allows it to deliver one specific volume accurately. There are many different sizes of volumetric pipets (1-, 5-, 10-, 25-, 50-, and 100-mL volumetric pipets are common). A volumetric pipet is accurate at the temperature at which it has been calibrated. The temperature where the volume is accurate is usually printed on the neck of the pipet. If you are working at a different temperature, the volumetric pipet should be calibrated.